Cats held a special place in Ancient Egypt and were mummified as religious offerings. The discovery was made by an Egyptian archaeological mission during excavation work started in April. Seven sarcophagi, some dating back more than 6,000 years, have been discovered at a site on the edge of the pyramid complex in Saqqara, south of the Egyptian capital, archaeology officials announced Saturday. 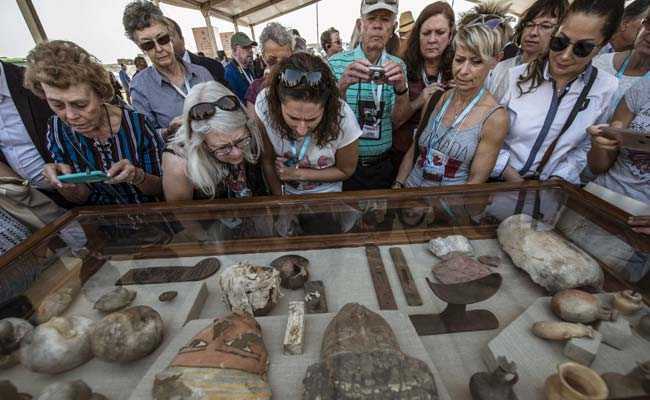 Antiquities Minister Khaled el-Enany said the discovery was made by an Egyptian archaeological mission during excavation work started in April. Three of the tombs had been used for cats, he said, while one of four other sarcophagi discovered at the site belonged to Khufu-Imhat, overseer of the buildings in the royal palace. Mostafa Waziri, head of Egypt's Supreme Council of Antiquities, said the mission had also unearthed the first mummies of scarabs to be found in the area. 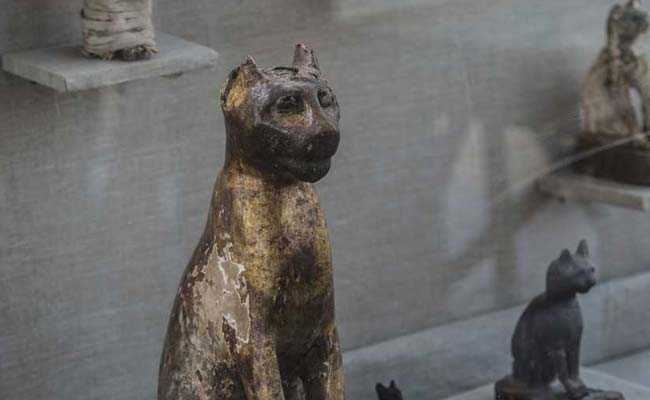 Dozens of cat mummies were also unearthed along with 100 wooden, gilded statues of cats. 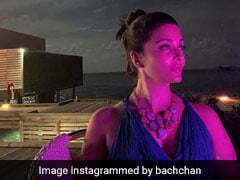 Two such mummies were found inside a rectangular limestone sarcophagus with a vaulted lid decorated with three scarabs painted in black, he said. Dozens of cat mummies were also unearthed along with 100 wooden, gilded statues of cats and one in bronze dedicated to the cat goddess Bastet. A collection of wooden gilded statues of a lion, a cow and a falcon was also unearthed at the Saqqara site. The antiquities department said wooden sarcophagi of cobras with mummies inside them were also discovered along with two wooden sarcophagi of crocodiles.